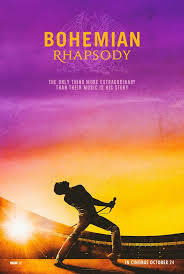 Click here to book tickets for Bohemian Rhapsody. Starring Rami Malek and Lucy Boynton. A chronicle of the years leading up to Queen’s legendary appearance at the 1985 Live Aid concert. This entry was posted in Digital Cinema on November 27, 2017 by Leavenheath Village Hall. As you may know, Dirk and Zara are moving from the The Lion, the Village Hall committee would like to thank them for their support during their time in Leavenheath. They continued to donate the proceeds of their bottle bank to the Hall, and also held quiz nights for us. We wish them well in their new venture, lots of happiness for them both and little Max – we will miss them all. Don’t forget the .uk at the end of both addresses, or you may be taken to other sites which are not ours! The new site allows you to book both the Hall and the Film Nights online, as well as giving you an insight into the availability for booking the Hall, short write-ups on future films, plus details of future events being held in the Hall. Please give us a visit even if you do not wish to book and let us have some feedback, we look forward to hearing from you. You will know you are on the right site if you see this article. Hitchcock was well-attended in September, October’s Film Night ‘Song for Marion’ is getting booked up slowly. In November we have ‘Behind the Candelabra’. You can still book by phoning Ken or Lesley as well as online. At the time of print, I have been unable to discover how well SESAW did at their Craft Fair, but we hope it was profitable for them as they need all the help they can get at present, as do most charities. Jim’s Whist Drive went well, those that attended really enjoyed themselves, there will be another on 15th October, so do go along for a fun couple of hours and meet new people, plus get a good tea for a very reasonable cost. This entry was posted in Uncategorized on September 21, 2013 by Leavenheath Village Hall. August is not a busy month in the Village Hall so there is not a great deal to report. The main hall floor has been re-sealed and polished, and looks really good. The cinema night went well Life of Pi was indeed a good film and was much enjoyed by those who attended. On September 7th we are showing Hitchcock, a film about Alfred and his wife’s relationship as well as being a glimpse of the days of classic Hollywood. To quote one reviewer: “Anthony Hopkins as Hitchcock and Helen Mirren as Alma are alone worth the price of the ticket.” It also stars Janet Leigh and Jessica Biel, so an excellent cast. We have had to swap round our October and November cinema programme due to availability of the films. So in October it will be Song for Marion, and in November Behind the Candelabra. We look forward to seeing you at one or all of the above. We have just had the sad news that the Friday Table Tennis club has had to close due to lack of numbers. We thank them for their support of the hall and wish them all well. However there is still one being held on a Wednesday afternoon if any one wishes to play, let’s hope that this continues to thrive. SESAW had to cancel their fund raining event in August due to ill health of one of their organizers, but you will see they have re booked for September 14th. Let’s hope all goes well for them this time. This entry was posted in News on August 16, 2013 by Leavenheath Village Hall. In June we hosted a fraction of the Open Gardens event. I am very pleased to say that it all went well. The stalls were many and varied, the WI did an excellent job with tea and cakes, and we understand the Open Garden Committee raised a good amount for the two charities, which is excellent news. Messy Church was also held in the hall at the start of the month, it was not well attended which was a shame, but Murray was playing at Wimbledon so they were not too surprised. The wonderful change in the weather as I write this has helped to raise all of our spirits, long may it last, but I am sure the gardeners amongst you would like some rain, but it is great for the children with the school holidays currently. If you happen to be reading this before 30th July, Colchester Hospital have booked the hall for a talk on Strokes. The events they have held in the past have been excellent, but unfortunately not as well advertised as they might have been. Later this month we are having the floor re-sealed and polished. We are sorry for any inconvenience caused to regular hirers but we have to close the main hall for a few days. If we do not keep the floor in good condition it would mean completely relaying it at some stage in the future, which would be very costly indeed. This is taking place the weekend of Friday 26th to Sunday 28th July. July’s film ‘Hyde Park on Hudson’ was well attended, but far from a sell-out. A pleasant easy-going film, however not one of our best. In August we are showing ‘Life of Pi’ which we have been led to believe is excellent, let’s hope that is the case. As usual you can book tickets subject to availability by visiting our Digital Cinema pages on this website. Please remember you can also book the hall or committee room for your own event. Visit our Booking Enquiry pages for more information and to send us a booking request. This entry was posted in News on August 12, 2013 by Leavenheath Village Hall.